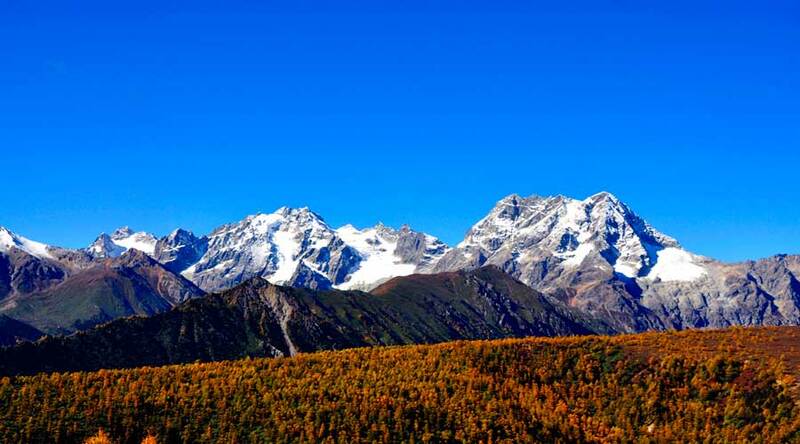 The mountain areas in the Southern provinces of China have been largely inaccessible to outside adventure travelers until relatively recently. On this trip we have the opportunity to see and experience some treasures of this fascinating region – from hiking in the scenic beauty of mountain areas as high as the Alps, to local minority groups which still retain their traditional clothes, cuisine and culture – and their warm hospitality. We will see ancient monuments and temples, including the largest stone Buddha the world has known, completed in 803AD. 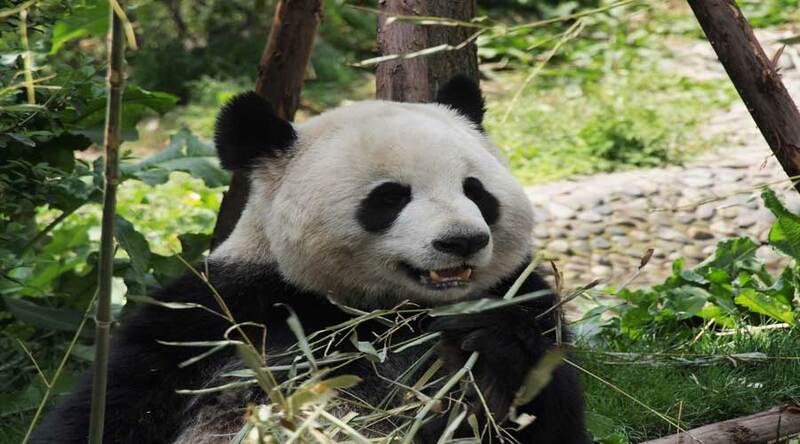 Of course, no trip to this region would be complete without getting close to the Giant Pandas – protected and bred in Chengdu, also home to the famous Sichuan spicy hotpot. Arrival. We will transfer from the airport to our hotel then head out for dinner. Sichuan is famous for its fantastic (spicy) food. This evening will give you a chance to become acquainted with this surprisingly relaxed city. 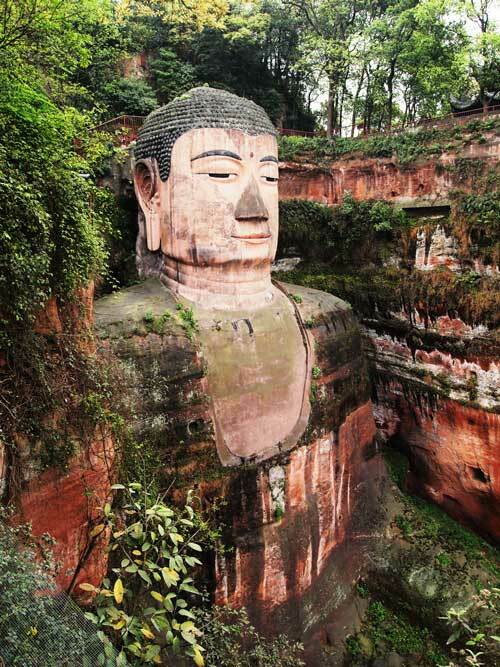 Travel this morning to Leshan Giant Buddha (157km) – the largest stone Buddha and by far the tallest pre-modern statue in the world at 71m. We explore the park and walk around the temple and get a boat to see the whole view, seeing this extraordinary seated Buddha from several angles. We will have real local food then head back to Chengdu. Today we head off early to go hiking at Four Girl’s mountain (239km). This is a great mountain for hiking with lovely views and a picturesque river. It is highly thought of amongst hikers in China. We will hike 4-6h, stopping to share a lunch, enjoy the amazing views and peace of this area ,The surrounding mountains rise to 6250m. 4000m below the peaks, where we will walk, is the forest with flowers everywhere, grassland, rivers and local minority groups Zang and Qiang with their unique cultures. We stay in a Zang house at the foot of Snow Mountain , relaxing in their very peaceful town . 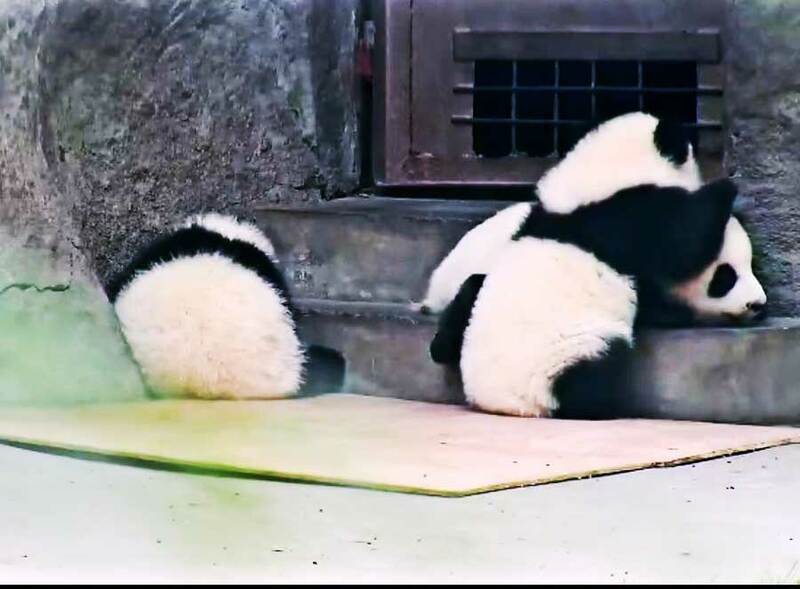 This morning we walk around Chengdu research base for giant pandas, hopefully also seeing lots of baby pandas This is a panda sanctuary where they are housed in a primordial forest with many endemic plants. 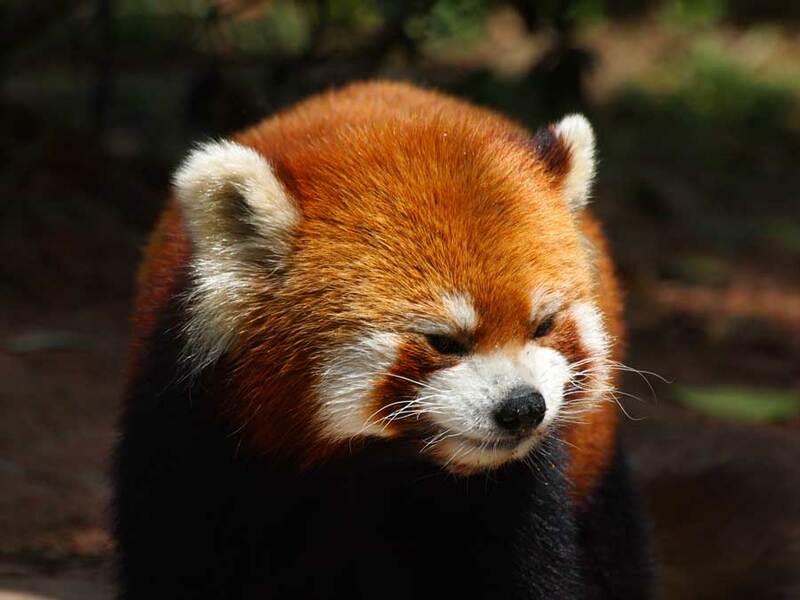 There are lots of bamboo stands, nice flowers, plenty of fresh air and, natural hill scenes and there are more pandas here than you will ever see outside of China. There are opportunities for feeding and close interaction as well as taking photos with these wonderful creatures. You may also have the chance to see young babies which are born here. Following our relaxed day with these beautiful creatures, we fly to Shangri-la. Shangri-la: Most people will have heard of this town. It is a Zang nationality town with wooden buildings. Zang people often have fire parties, traditional mixing with modern. 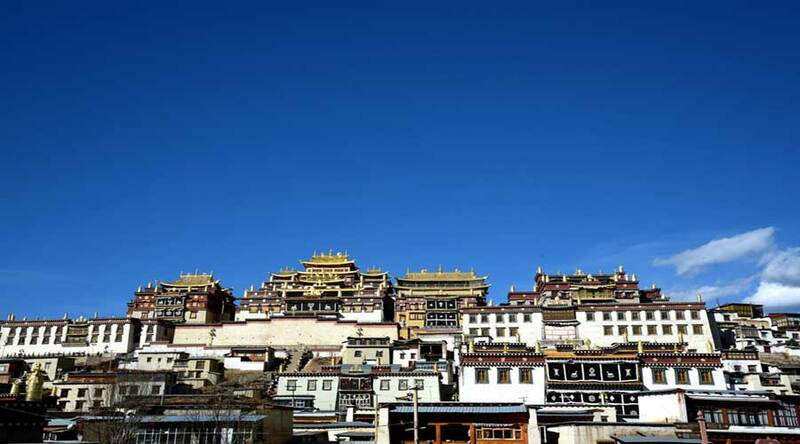 A short journey from Shangri-La takes us to this ancient monastery (3 km). We explore the monastery and experience this amazing temple. In the afternoon we cycle from our hotel to Napa Lake (8km), with lovely views on the way. Local people call this “Plateau Pearl” grass land. 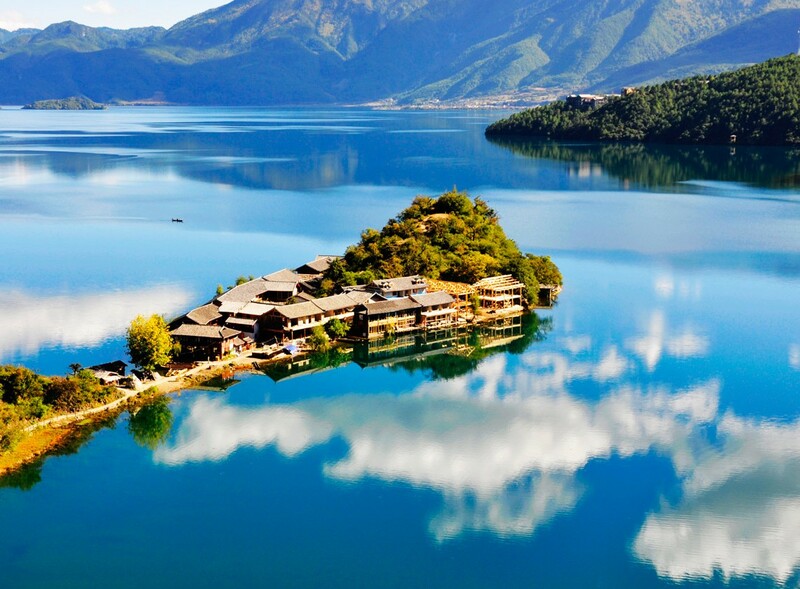 It is 3270 meters above sea level and covers 660 square kilometers. 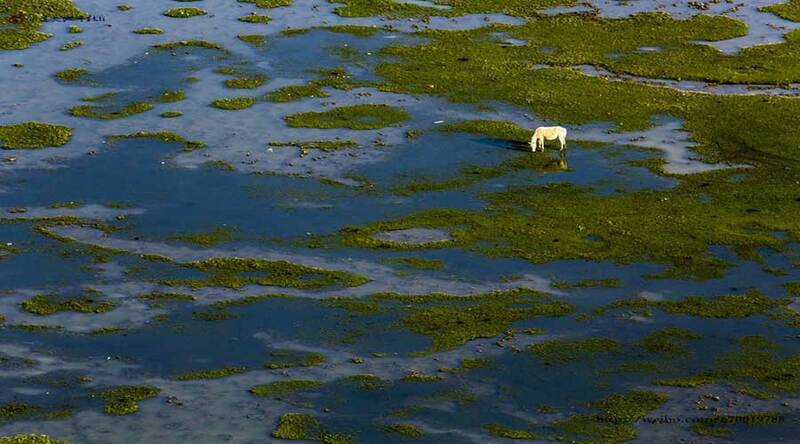 There are many rare animals beside the peaceful lake. 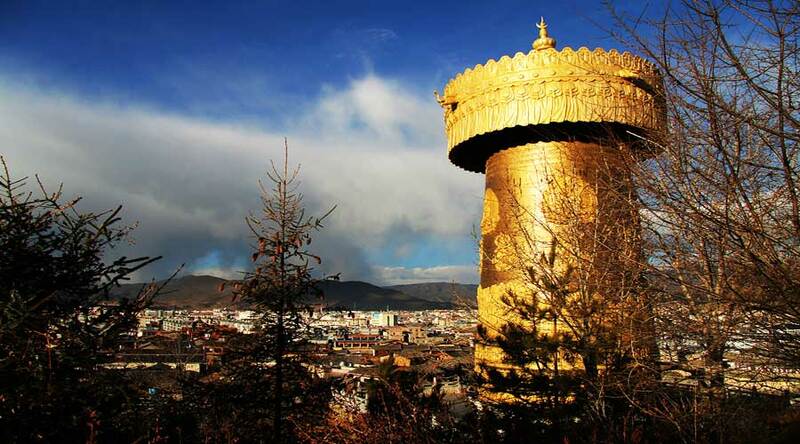 During the evening, we will walk in the ancient town also seeing the biggest prayer wheel in the world. We drive (106km) to go to Tiger Leaping Gorge, it is one of the world’s classic hiking lines. It is one of the deepest canyons in the world, with a maximum depth of approximately 3790 meters from river to mountain peak. 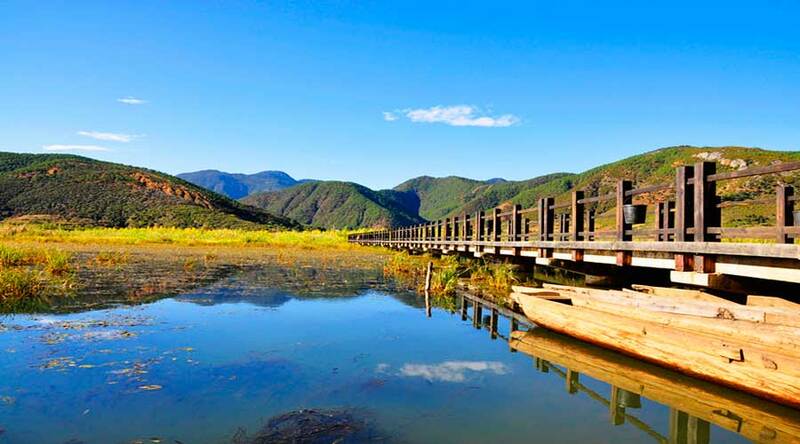 The river passes between the 5596 meters Jade Dragon Snow Mountain and the 5396 meters Haba Snow Mountain. 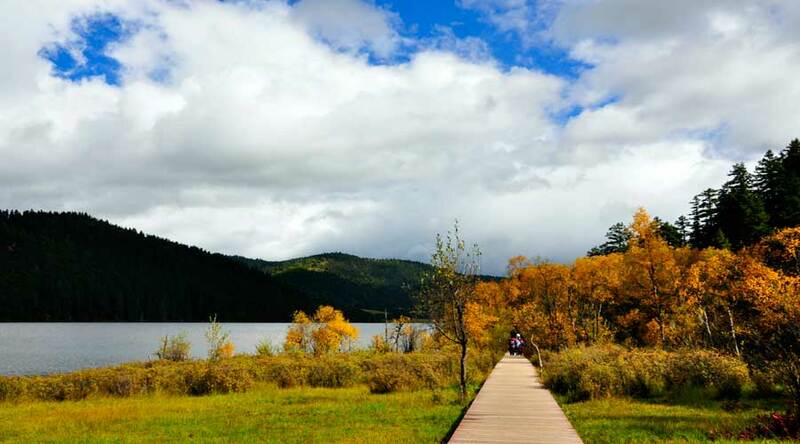 We will go hiking for around 4 hours, then head to Lijiang Shuhe Ancient Town ( 81km). Lijiang town has varied local minority customs and entertainment. Naxi (one of the smaller minority nationalities) have their own ancient music, the Dongba ceremony and the torch festival. There are delightful wooden buildings and different styles of restaurant around a small river. People are often singing on the street, dancing with fire at night. We stay in a delightful local hotel, classical wooden structure with modern style. We will BBQ in the attached gardens before resting. 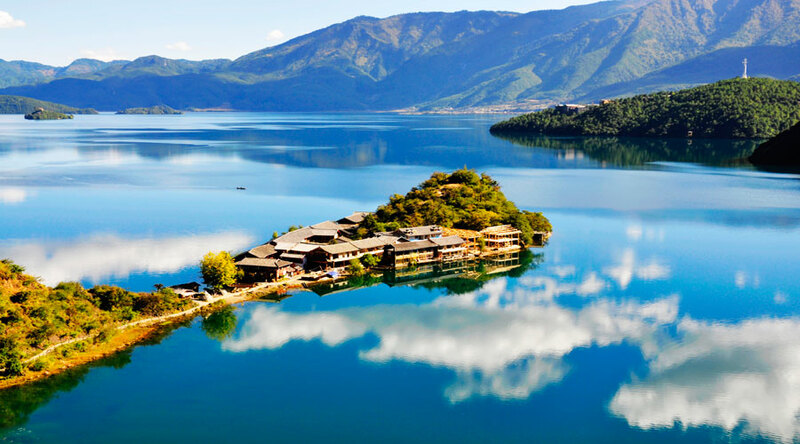 Head to Lugu lake(180km), also called “the kingdom of women “as this has remained a maternal society, a culture strange to us with different customs and a very different way of life. This nationality still has unusual marriage traditions. Families are matriarchal. The woman is powerful here. Children may not know their father, but are brought up in the mother’s home with the uncle being the bigger male influence. They still have a tradition of “walking marriage” about which we will learn. 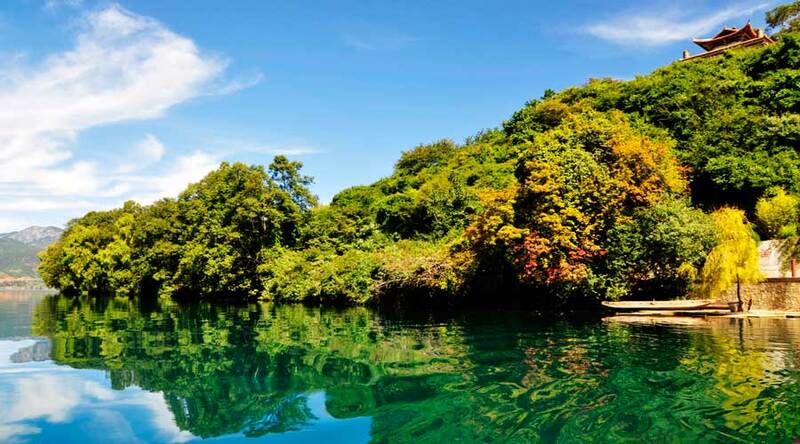 The beautiful blue lake has a large drainage catchment and has many minority ethnic groups and ancient villages. 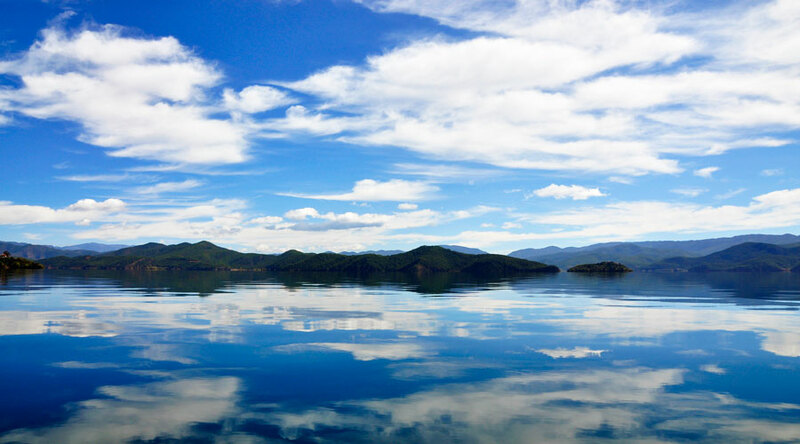 We start the day with a cycle around Lugu Lake. There are many minority ethnic groups by the lake. We will visit a local home in Gesa ancient village. It is a beautiful natural village where people still wear traditional clothes. We will experience the very different life they lead and they will cook for us. Grandma will make local butter tea and we will sit around a fire and talk with them. They will share with us about their life and we will get a glimpse of another world. Today we head back to Lijiang town ( 180km), with a flight back Chengdu later in the day. We will stay in Chengdu tonight before preparing to leave next day. Time for any last minute activities before the transfer to Chengdu airport for the return flight home or on to other destinations. We are happy to organise an extension if you are hoping to explore a bit more of China.